Memorial Day 2013 — It’s summer! I always start the summer beer-drinking season with the Sam Adams summer variety 12-pack. One of my favorite things about the Boston Beer Company is that they are always introducing new beers. 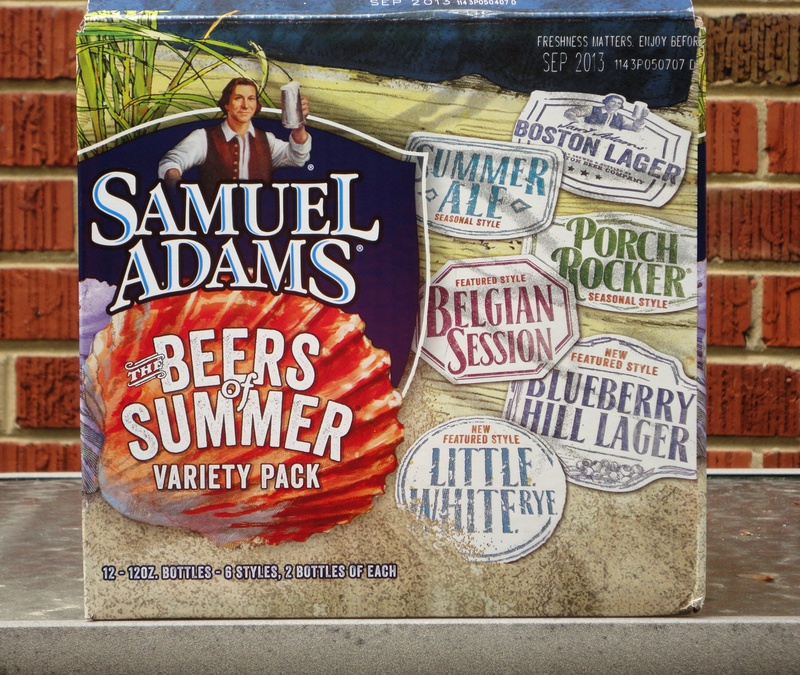 Again in 2013, the summer pack features new Sam Adams brews that are only available in this mixed 12-pack. Porch Rocker was introduced in 2012. It’s not one of the new brews, but it is certainly worth mentioning. Porch Rocker was the Beer of the Month in the May 2013 issue of the Boston Beer Company’s monthly e-newsletter, “What’s On Tap.” As described in the e-newsletter: Porch Rocker is a bright and citrusy Bavarian Radler with a fresh-squeezed lemon taste and refreshing finish. Crisp and tangy with its combination of lager and tart lemonade, this popular German style is a unique summer quencher for those warmer days we’ve all been anticipating. It’s different, and I look forward to drinking one on a 90-degree day this summer. Little White Rye was the Beer of the Month in the April 2013 issue of “What’s On Tap.” Making its introduction in the 2013 Beers of Summer variety pack, Little White Rye is a hazy golden brew that gives the appearance of a classic witbier with some unique twists. Behind bright notes of orange citrus and coriander lies a stimulating blend of white sage and rye for an earthy, spicy, and thoroughly refreshing brew. I would comment on the other new brew, Blueberry Hill Lager, but Beth is drinking them all. Out from last year’s 12-pack: Cherry Wheat, Noble Pils, and East-West Kölsch. New in 2012: Porch Rocker, Blueberry Hill Lager, and Little White Rye. Holdovers: Belgian Session, Boston Lager, Summer Ale.